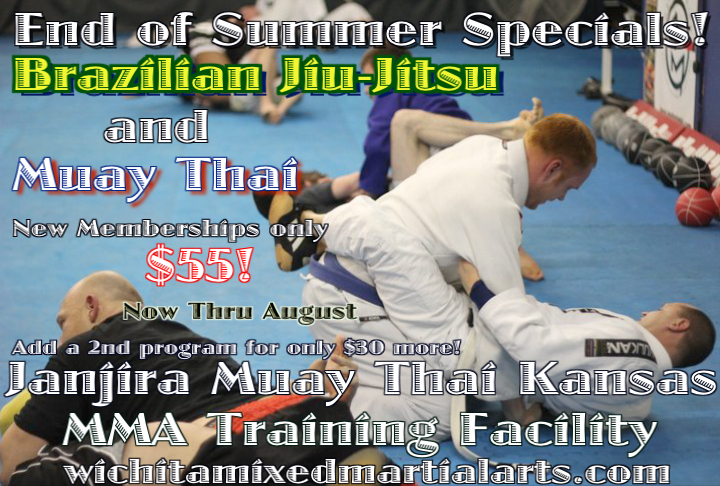 End of Summer Specials on Brazilian Jiu-Jitsu and Muay Thai only $55! « Only A Couple Weeks Left to Get Jiu-Jitsu for Only $55! During the month of August we are offering great special pricing on all NEW Brazilian Jiu-Jitsu and Muay Thai kickboxing memberships at JMTK. Get both programs for only $30 more! jmtk@sbcglobal.net for more information.